Ted Cruz releases his mother's birth certificate. 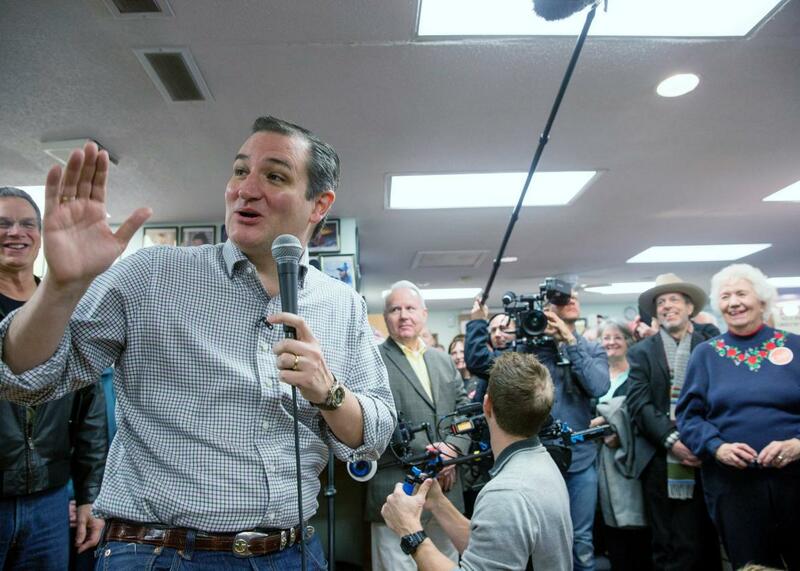 Republican presidential candidate U.S. Sen. Ted Cruz (R-TX) visits King’s Christian Bookstore on January 4, 2016 in Boone, Iowa. Unless he himself becomes president, Donald Trump should serve in the next administration as Special Envoy for Getting People to Dig Up Birth Certificates for Public Consumption, because he’s hella good at it. His speculation about Obama’s birthplace prompted the President to release his long-form birth certificate in 2011. And now, after only a few days of muttering about Cruz’s eligibility to become president, he’s prompted Cruz to release… his mother’s? As best we can tell there are two main strands of Cruz birtherism. One is that the Supreme Court has never directly ruled on the meaning of the Constitution’s “natural born citizen” requirement. Even though it is understood by experts to mean “U.S. citizen at birth,” as Cruz was, some opportunistic critics, such as Trump, have been warning about the phrase’s not-totally-determined meaning and how that could open the door to distracting legal cases if Cruz becomes the nominee. Cruz’s mother “may have elected to give up her U.S. citizenship – she wasn’t there on a visitor’s visa for five years, that’s for sure,” he says. On Friday, Breitbart News, which likes Ted Cruz but maybe likes Donald Trump a lil’ bit more, posted a document from 1974 that listed Eleanor and Rafael Cruz as “electors for Canada’s federal election of July 8, 1974.” Since “Canadian law restricts (and restricted) federal voting rights to Canadian citizens,” the thinking goes, the document might imply that Eleanor Cruz was a Canadian citizen who therefore had lost her American citizenship, thus making Ted Cruz an EVIL CANADIAN DEVIL BABY. The Cruz campaign said that the list “does not purport to be a list of ‘registered Canadian voters.’ All this might conceivably establish is that this list of individuals (maybe) lived at the given addresses. It says nothing about who was a citizen eligible to vote.” The campaign explained that Eleanor only ever resided in Canada on work permits and never had permanent status or citizenship there. And so for good measure, the Cruz campaign sent to Breitbart this copy of Eleanor’s birth certificate Friday afternoon. Two clear problems with this birth certificate immediately come to mind. • “Delaware” is not a Canadian state. • This is not a Canadian birth certificate. Okay, okay. There are more gaps for Cruz birthers to investigate if they so choose to do so, and they always choose to do so. How many years did Eleanor spend in America? How many after age fourteen? Why does the letter “a” on some line have a different pixel quantity in the upload than another “a,” or whatever? It can go on forever.